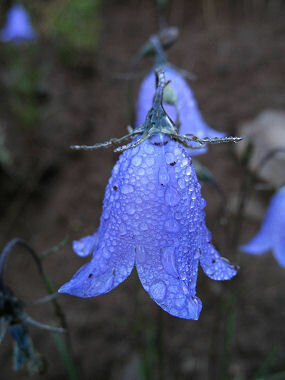 Harebell is a member of the Bellflower or Bluebell Family. It grows to 20 inches in height and has roundish green leaves to 3 inches in length along the base of the plant and thinner leaves to 1 inch in length along the stem. The plant grows in meadows and on rocky slopes at elevations between 8000-12000 feet. 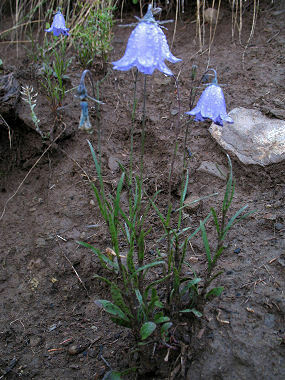 Harebell is also commonly known as Bluebell. Harebell blooms between June and September and produces blue to violet, bell-shaped flowers with 5 lobes which droop from a slender stem to 3 inches in length.